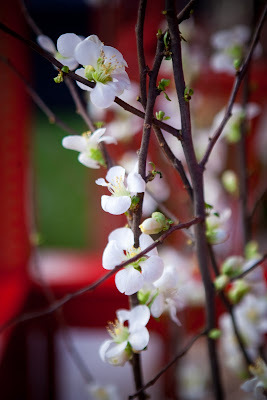 The Chinese New Year is a celebration based upon the first day of the New moon. Just another excuse to throw an extravagant celebration!! 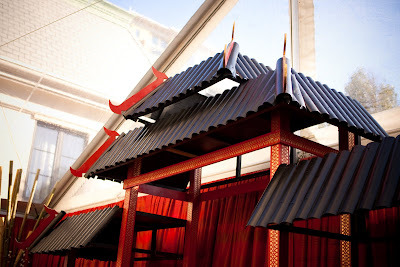 We helped celebrate by doing the décor for the St. Regis Chinese New Year event on the 7th floor terrace. Of course, the temperatures weren’t exactly favorable, but a clear tent helped keep the guest comfortable. The tent (ironically) had a clear top so guest could actually view the “new moon” if they choose to!! 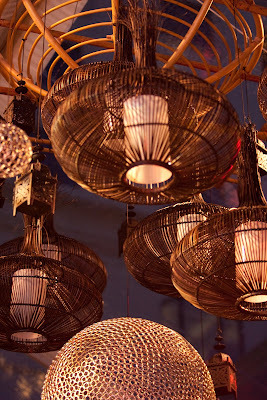 As guest entered the tent, the first element that caught their eye was the large black laquered pagoda in the rear of the tent and the lanterns that hung from the ceiling. These two dramatic elements definitely set the tone for the evening. 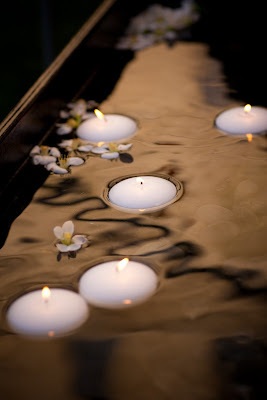 Large reservoirs that held water with floating candles and beautiful quince blooms sat in the middle of two seating areas. The curved bar fronts were faced with two gorgeous orchid graphics and lit from behind. 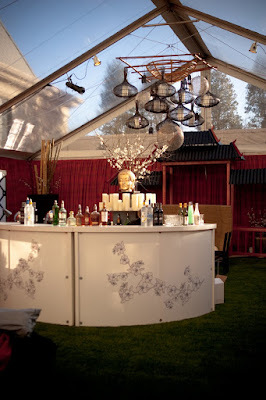 Four Buffets were set around the perimeter of the tent to provide authentic Chinese cuisine for the celebration. The evening was a huge success and, once again, our talented event designer, Amy Saltzman, wowed us with her innovative and breathtaking design!! 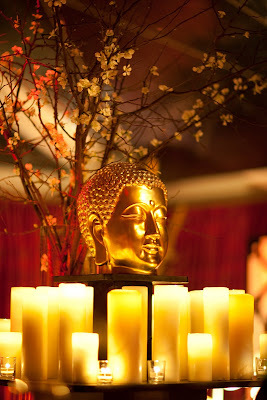 Click here to see more photos that were taken at the St. Regis by the fantastic Nancy Jo McDaniel. 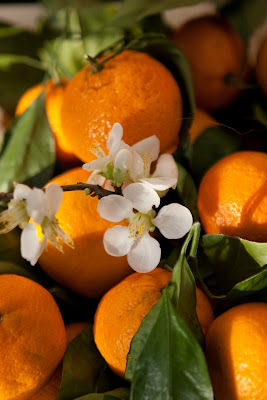 This entry was posted in chinese new year, nancy jo mcdaniel, st. regis. Bookmark the permalink.